Costa Mesa, CA (November 27, 2018) – QSC is proud to announce the first “QSC Certified” multiplex, Alamo Drafthouse Raleigh. QSC Certified Theatres are equipped with complete sound systems from QSC, and meet a set of technical guidelines for equipment, projection, acoustics, and room design, to ensure an outstanding movie-going experience. The Alamo Drafthouse Cinema in Raleigh, North Carolina is an eleven screen complex, with rooms ranging in size from 47 seats to 107 seats. All rooms feature complete QSC cinema sound systems, using DCP Series cinema processors and DCA Series power amplifiers. Each room features QSC 3-way bi-amplified screen channel loudspeakers, SB-7218 subwoofers, and SR Series surround loudspeakers. The multiplex was built in a refurbished supermarket, making attention to acoustic design critical to the overall listening experience. The QSC Certified Theatre Program is based on a set of guidelines intended to promote best practices in cinema design and overall presentation quality. QSC Certified Theatres are equipped with complete sound systems from QSC, the leader in cinema sound, and meet strict technical specifications. In addition to properly equipping the room with the optimal sound system, the CTP also evaluates acoustics, sightlines, and image quality. Many theatre operators will pursue certification for a limited number of rooms within a multiplex. Often, these are the premium large format (or PLF) rooms or those with special formats such as Dolby Atmos or 3D projection. 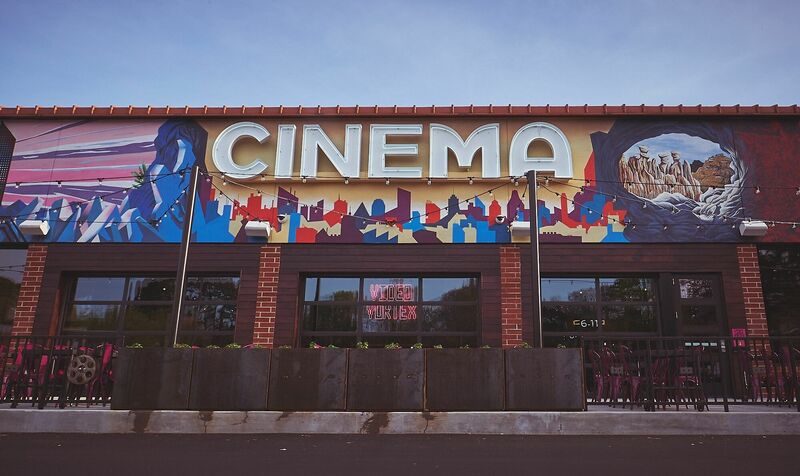 Alamo Drafthouse Cinemas is the first cinema operator to achieve QSC Certification for every room in a multiplex.